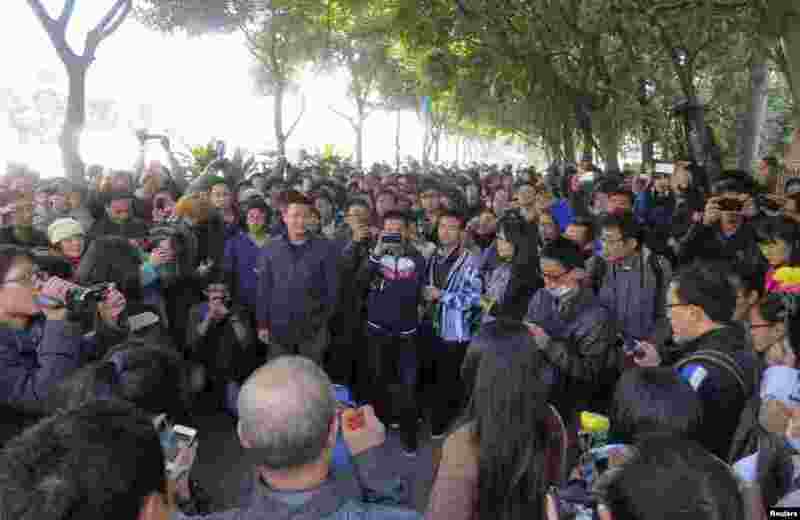 Protesters clashed with Communist party supporters in southern China during a dispute about government censorship. 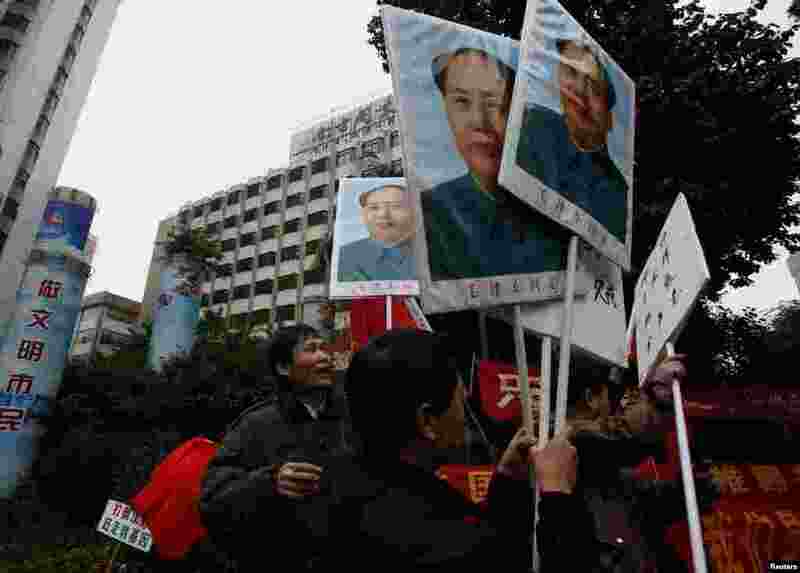 1 Leftists carrying portraits of the late Chinese leader Mao Zedong demonstrate outside the office of the liberal Southern Weekly newspaper in the southern Chinese city of Guangzhou, January 9, 2013. 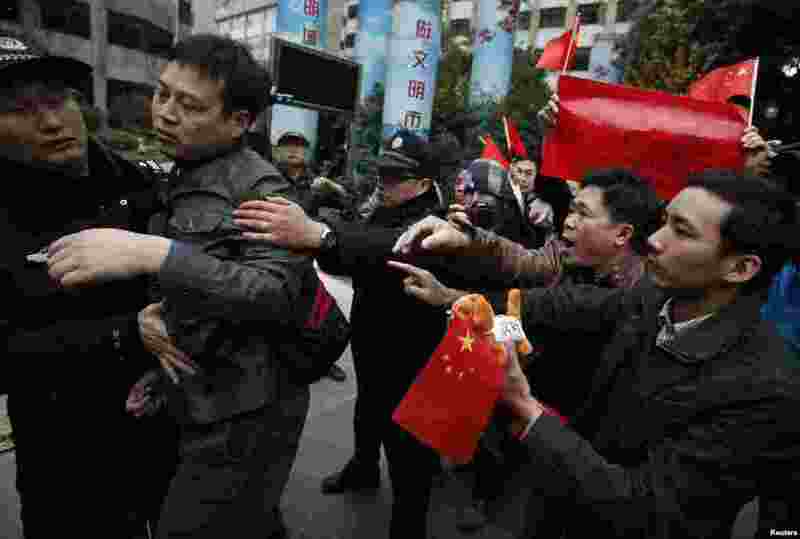 2 Police separate a supporter of the Southern Weekly from confronting leftists protesting outside the office of the liberal newspaper in the southern Chinese city of Guangzhou, January 9, 2013. 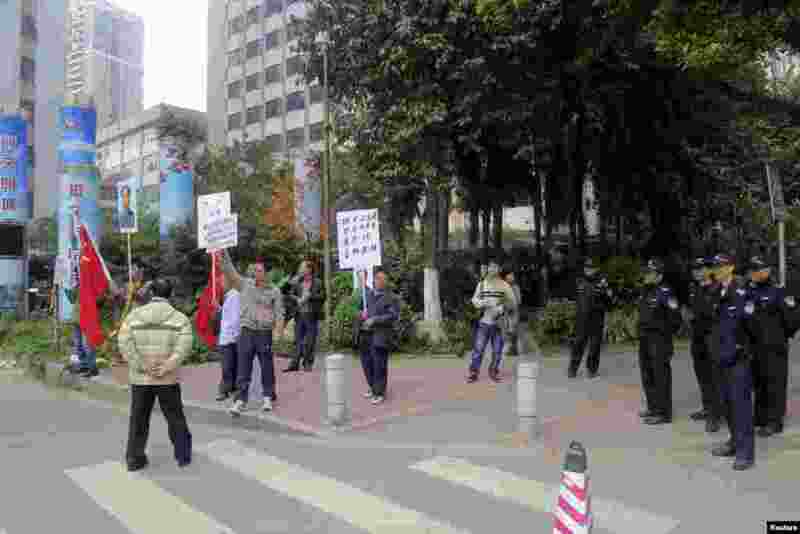 3 A police officer walks past supporters of Southern Weekly demonstrating outside the office of the liberal newspaper in the southern Chinese city of Guangzhou, January 9, 2013. 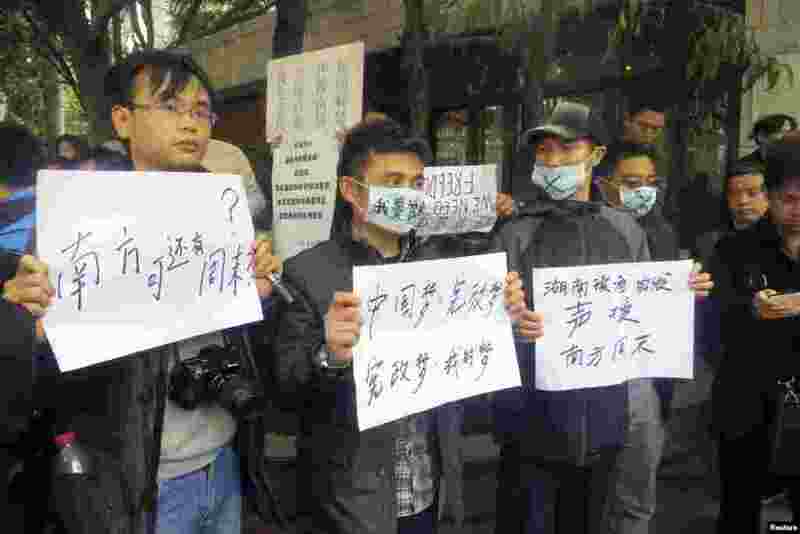 4 Demonstrators hold banners outside the headquarters of Southern Weekly newspaper in Guangzhou, Guangdong province, China, January 8, 2013. 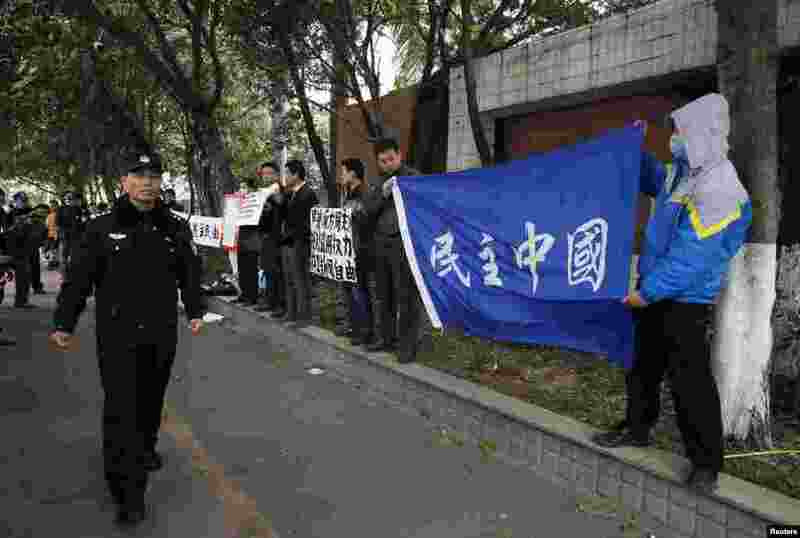 5 Demonstrators hold banners, portraits of China's late Chairman Mao Zedong, and Chinese national flags next to police outside the headquarters of Southern Weekly newspaper, January 8, 2013. 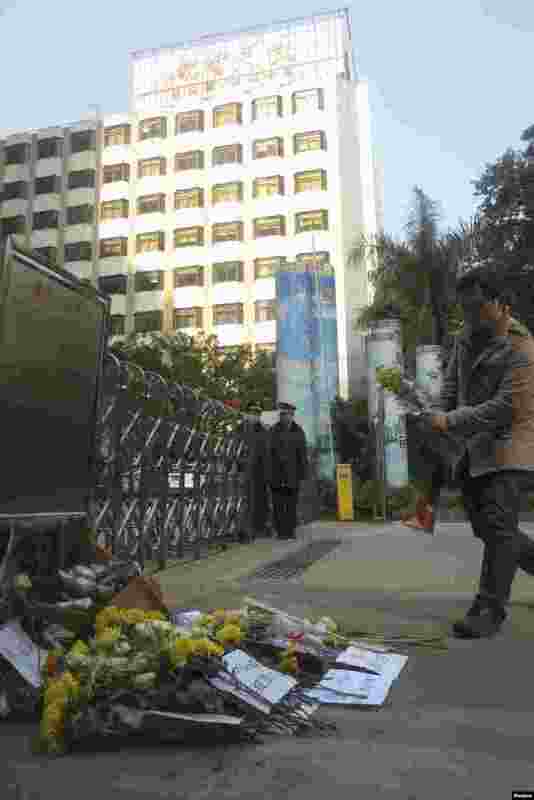 6 A man lays a bouquet of chrysanthemums in front of the headquarters of Southern Weekly newspaper, January 7, 2013. 7 Demonstrators gather along a street near the headquarters of Southern Weekly newspaper, January 7, 2013. 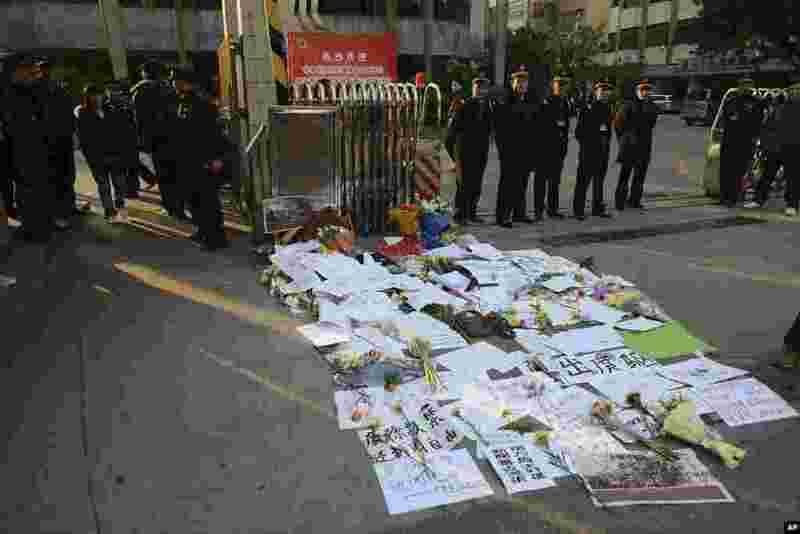 8 Security guards stand near protest banners and flowers are laid outside the headquarters of Southern Weekly newspaper, January 7, 2013.